SAFNA has completed many projects for notable clients in a variety of industries. Our staff has also brought prior project experience from numerous programs throughout Southern California. Following is a summary of SAFNA’s recently-completed projects as well as our staff’s prior project experience. projects may follow Design-Build practices to help expedite project implementation during the next five-year bonding window to complete most of the program. SAFNA is providing project controls, project administration, and project management support services on the program as part of the program management team. SAFNA is currently supporting the City’s water infrastructure program as the program managers, providing day-to-day project management, technical oversight of design, permitting support, system operations support, and management of contractors and consultants. 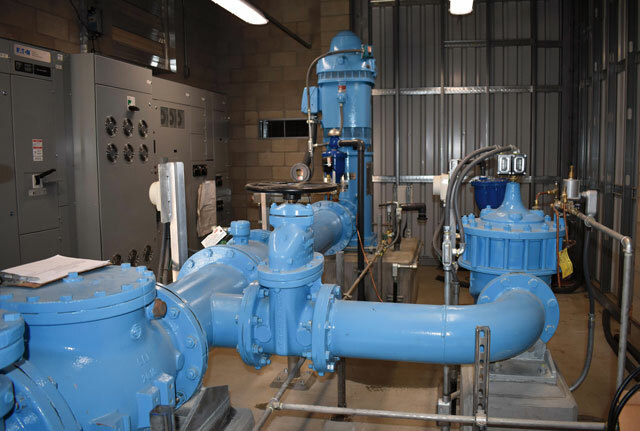 The City is building a potable water reservoir, a booster pump station, a new groundwater well, and expanding the region’s recycled water system. The projects will increase the reliability and efficiency of the City’s water system. The new Well No. 29 has been completed and is currently operating. SAFNA has certified D5 and T4 staff and is assisting the City with incorporating the operations of the well into the existing system, as well as developing efficient operating methods to ensure the well is fully utilized. The Metropolitan Water District completed the F.E. Weymouth Treatment Plant in 1940. It serves the county residents of Los Angeles and Orange. 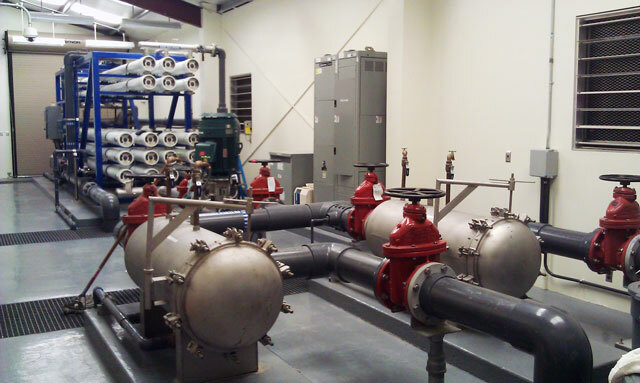 To enhance its output and lower chlorine levels, a plant retrofit was planned to disinfect primarily with ozone. 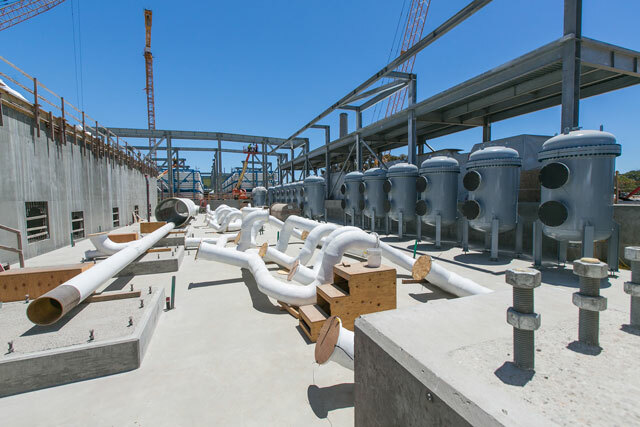 Construction is underway for an ozone water treatment process which, when completed in 2017, will make Weymouth the final Metropolitan treatment plant retrofitted for ozone disinfection. Compared to chlorine, ozone destroys a wider range of micro-organisms, produces fewer byproducts and removes unpleasant tastes and odors more effectively. When using ozone, bromate is produced as a byproduct and requires additional treatment to manage. Operational since 1967, the Tajiguas Landfill processes up to 23.3 million cubic yards of waste over 118 acres. Landfill gas emissions consist of methane, carbon dioxide and hydrogen sulfide, which abide by air- quality EPA requirements but can be dangerous at high levels. SAFNA created a treatment solution that lowered these gas emissions. SolidWorks Modeling and Simulation to Determine Wall Thickness and Support. Implementation of Phase 1 of the recycled water pipeline expansion. 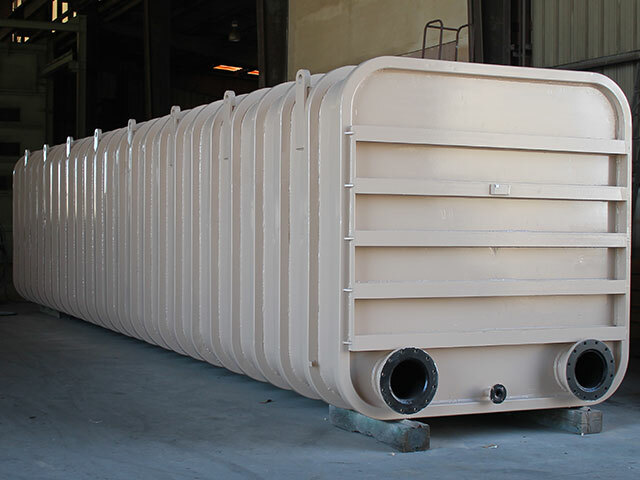 Unique recycled water users included farmers for agricultural irrigation, industrial users (including an industrial laundry customer), and several new developments with use in HOA areas, common areas, and city parks. 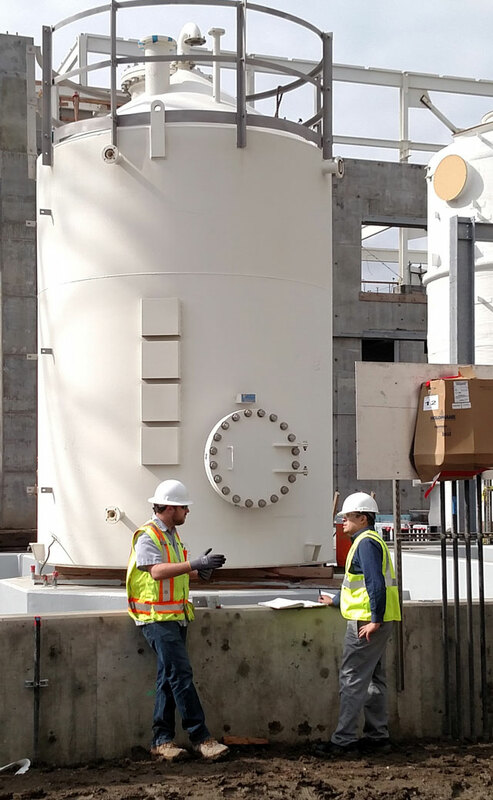 Among the unique project challenges was the development of an engineering report for an industrial laundry user, preparation of design plans for the conversion of a cooling tower at a medical facility, and the retrofit and successful conversion of one of the first city of Los Angeles schools. The West Basin Municipal Water District has one of the largest water reuse systems in the county. 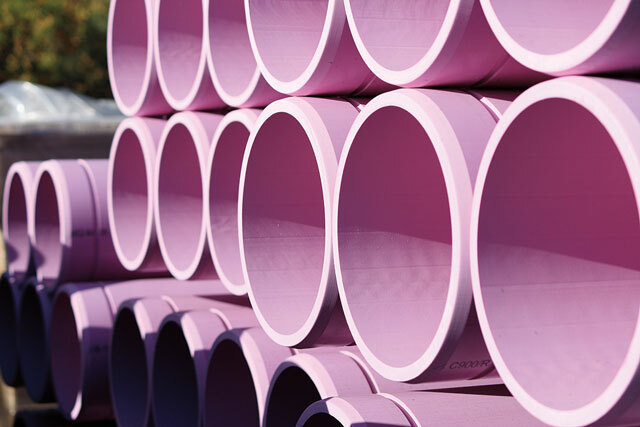 It is the agency’s responsibility to continue to connect new users to the existing distribution system under the recycled water customer conversions program. SAFNA’s Chief Engineer previously served as a consultant to the agency as part of the on-call services team to provide recycled water customer development, retrofit design, and operations troubleshooting. Among the notable accomplishments was an operations study and field investigation on the effective use of recycled water at a local nursery, and a second assignment requiring field inspections and recommendations on efficient water reuse management at a local golf course. Over the last decade, the Upper District has continued to implement a $50 million recycled water program in the San Gabriel Valley. SAFNA’s staff previously served as Chief Engineer for the program. The program management responsibilities included developing the overall program budget, maintaining the overall implementation schedule, and delivering the completed system under strict funding schedules driven by federal ARRA funding. The program involved a fast track approach for the preparation of procurement packages for consulting design services, and the preparation of final design bid documents for the construction of several miles of pipelines, multiple pump stations, and a 2 million-gallon storage tank. Under the program manager’s leadership, the District was successful in obtaining all permits from the local cities, the Los Angeles County Department of Public Health, and received approvals for all amendments to the CEQA documents to accommodate design changes warranted during implementation. 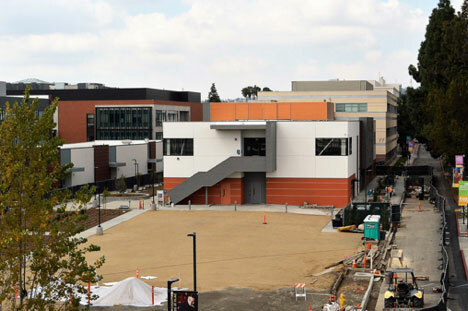 The Chief Engineer led all customer development, coordinating with all end user entities including the cities of South El Monte, Rosemead, and West Covina, the Suburban Water Systems, and the San Gabriel Valley Water Company. Due to the strategic planning and coordination, the project was completed on time and the start-up of the entire system was achieved successfully. For over five years, SAFNA’s Executive Director served as the Chief Engineer and Program Manager leading the program development and implementation of a $75 Million Indirect Potable Reuse (IPR) project located in the San Gabriel Valley. 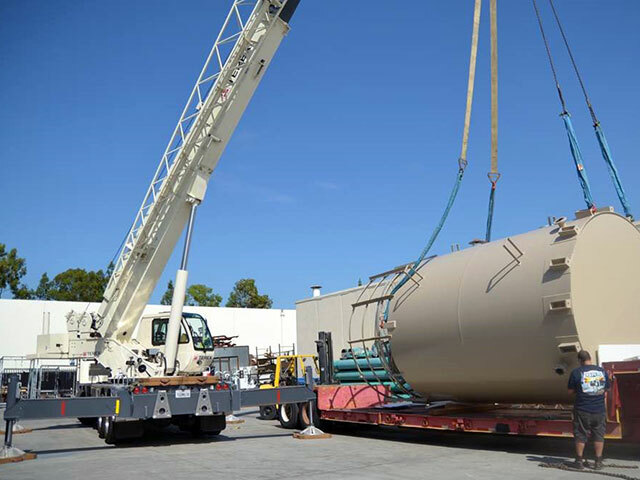 The project consisted of delivering up to 10,000 acre-feet per year of highly treated tertiary water into the Santa Fe Spreading basins to supplement the receding groundwater levels, via a pump station and a nine-mile-long large diameter pipeline. ​Successful program development required management of a team of staff, consultants, and coordination with local stakeholders. The program involved the preparation of a programmatic feasibility study, in-depth groundwater modeling, preparation of the pipeline right-of-way and easement requirements, and permitting and right-of-way coordination with the State Department of Public Health, the Regional Board, the Army Corps of Engineers, the Sanitation Districts of Los Angeles County, and numerous local stakeholders. Prior to joining SAFNA, our professional staff served on the program management team responsible for the development and implementation of the Large Landscape Survey and Retrofit Program in the San Gabriel Valley. The program involved coordination of site surveys and construction retrofit activities with 19 water purveyors, 125 schools, 10 industrial commercial sites, 30 Parks and 12 cities. Successful management of the program involved the preparation of grant application packages for the project, resulting in successful grant awards of $2.4 Million from federal (USBR) and state (DWR) agencies. ​The program consisted of two phases. The first phase involved surveys to examine a site’s existing irrigation system, including irrigation controllers, valves, and sprinkler heads. The outdoor water use survey report identified water use on each site and recommendations on where water savings was available. The second phase involved construction crews to repair old broken irrigation systems and upgrade equipment to reduce water usage based on survey recommendations. New technology, such as weather-based irrigation controllers, and high efficiency water nozzles were installed. The program manager was responsible for directing all work assignments; designing the retrofits; completing onsite shut-down tests and coordinating closely with clients, various cities, the County DPH, service providers, school districts, contractors, and staff in multiple offices. 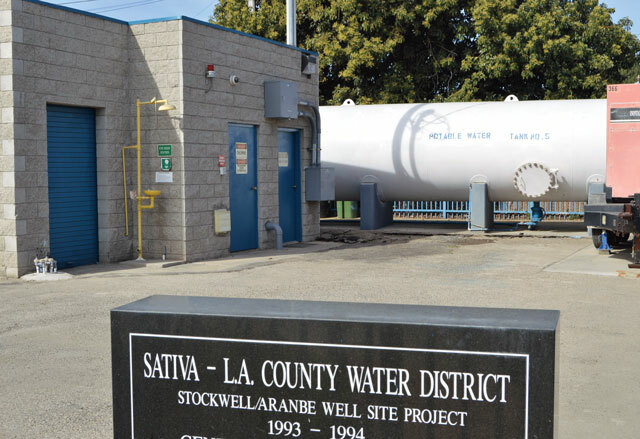 SAFNA successfully provided professional services for SATIVA’s water infrastructure program as the program managers, representing the District with all aspects of engineering design support, water quality reporting, regulatory compliance, and grant management. The District is planning the construction of a potable water reservoir, a new groundwater well, system pipelines, and planning several multi agency interties for water reliability. The SAFNA team is responsible for the planning, engineering design, and environmental documentation of several waterworks projects. SAFNA also supports the General Manager in preparing board agendas, board letters, and system operations recommendations. SAFNA is managing all grant applications with the State Water Resources Control Board. 405 E. Santa Clara St.